I just went through my cabinets and threw away all of the plastic take out containers that I had been saving and reusing. Even more surprisingly, I got my mom to do the same. If you have ever been through my mom’s cabinets, you would probably think she had a business selling reused plastic takeout containers, so this was a big deal. However, the results of a recent study conducted on BPA in food packaging convinced both of us that this was actually not a matter to joke about. If you are reading this blog, you probably already believe that the chemical Bisphenol A (BPA) is an endocrine disruptor and should be avoided in baby bottles. In fact, due to consumer demand, most baby bottle companies have removed BPA from their composition. There is, however, BPA in much of the plastic packaging food is stored in as well as in the cans food is packaged in. BPA leaches easily from packaging into food, especially into liquids. A shocking study recently brought to our attention the severity of this effect. Breast Cancer Prevention Partners (formerly The Breast Cancer Fund) is an organization that aims to prevent the environmental causes of breast cancer, such as chemical toxins. BCPP and the Silent Spring Institute enlisted five families to participate in a study of the effects of BPA in food packaging. To evaluate the contribution of food packaging to exposure, they measured urinary BPA metabolites before, during and after a “fresh foods” dietary intervention. They selected 20 participants in five families based on self-reported use of canned and packaged foods. Participants ate their usual diet, followed by three days of “fresh foods” that were not canned or packaged in plastic, and then returned to their usual diet. Urine samples were collected over eight days and showed that levels of BPA decreased significantly during the fresh foods intervention. The intervention reduced average concentrations of BPA by 66%, with a maximum decrease of 76%. Read a PDF of the report. 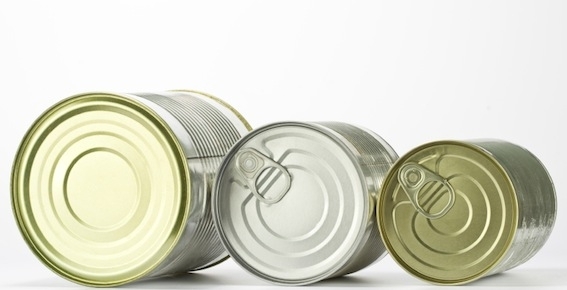 The results of this study show that there is still time to lower your BPA exposure. Making changes now for yourself and your children will have an immediate effect. Limit plastic packaging and canned food as much as possible, and you will be a step closer to keeping your family away from this dangerous endocrine disruptor. See our healthy Food Storage options.